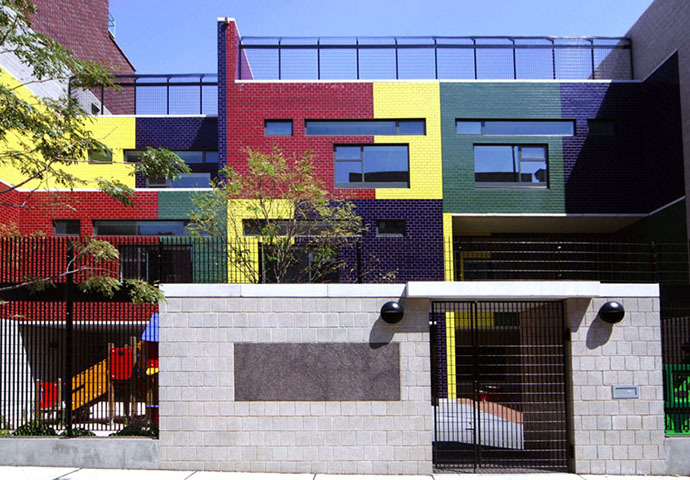 This three-story facility, designed to serve children ranging from 4 to 12 years of age, is a collaborative effort between MDSA and the City of New York. 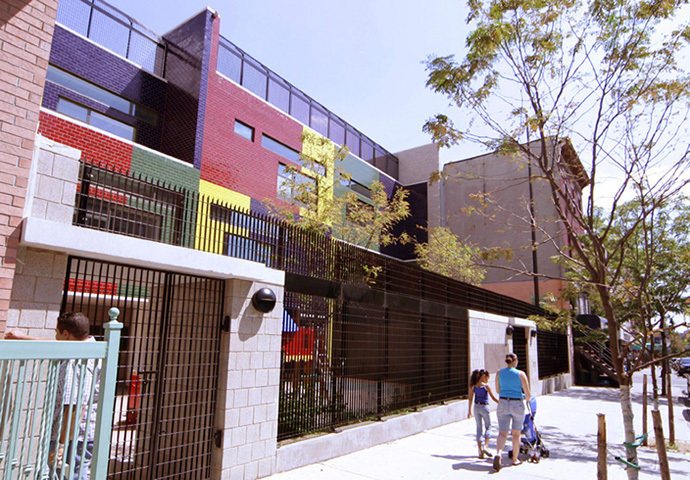 The Department of Design and Construction represented the Agency for Child Services, the owner of the new building. 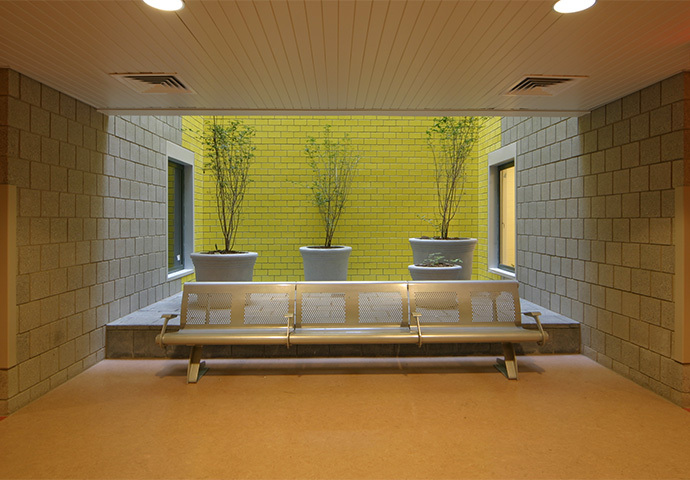 The project was part of a pilot study (pre-LEED) initiated by the City of New York to begin incorporating green design initiatives into civic buildings. The city’s commitment to sustainable design enabled our specification of interior finishes and materials for their environmentally sound benefits. “Green” materials, such as flyash concrete, low VOC paint, bamboo for cabinetry, recycled carpet, rubber, linoleum flooring, acoustical ceiling panels made from wood fiber and biodegradable fabrics were selected. 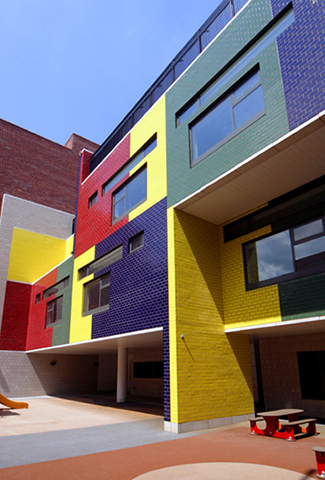 Complete energy modeling was performed on the building to determine the appropriate high-performance building systems to incorporate into the design. 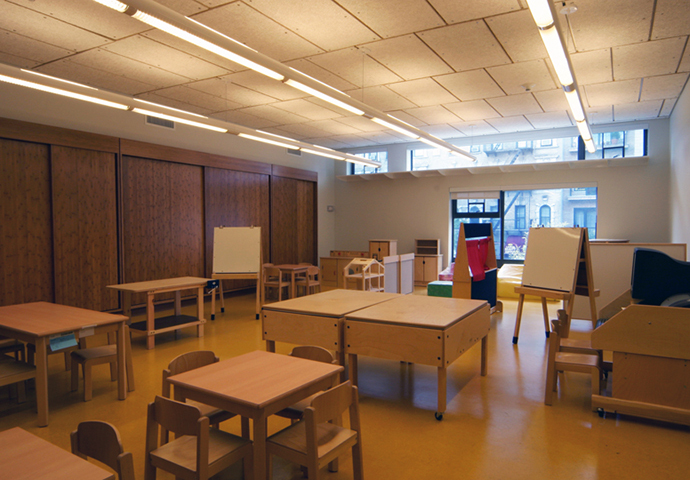 The siting and configuration of the building allows natural light to be diffused through a glazed interior light well and light shelves in the classrooms. 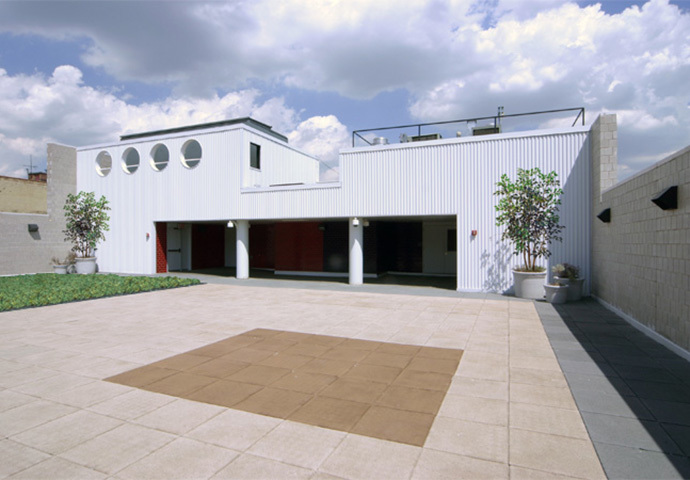 Play areas are provided at both the front and on the roof.